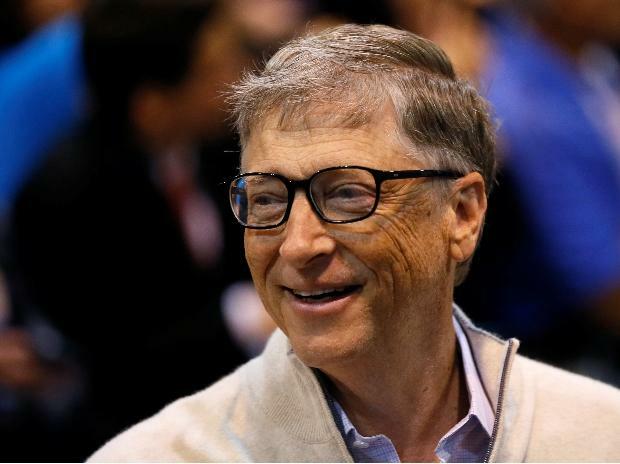 Bill Gates is concerned about the high budget deficits being run by the US, and said if taxes are ultimately increased to make up the shortfall, then it’s appropriate for wealthy people to pay much higher taxes. “We only collect about 20 per cent of GDP and we spend like 24 per cent of GDP. So you can’t let that deficit grow faster than the economy,” the world’s second-richest man said during an interview on CNN’s “Fareed Zakaria GPS” broadcast on Sunday. The US national debt climbed past $22 trillion in the past week. Proposals have circulated recently for the richest Americans to again face a top marginal tax rate of 70 per cent, as they did during much of the 1970s before it was lowered by President Ronald Reagan, and for other wealth-focused measures to be taken to address rising income inequality in the US. But Gates said that approach didn’t work well in practice. “Even when that rate was high, the actual collection because of ways people could defer wasn’t -- never got above 40 per cent, actually,” the Microsoft Corp. co-founder said. Taxing capital gains income and ordinary income at the same rates would get rid of a lot of complexity, said the philanthropist, who has a net worth of $97.2 billion, according to the Bloomberg Billionaires Index. Hedge funds tend to try to shift their tax liabilities over to the capital gains column. “And so, you would simplify that,” Gates said. Other tax plans put forth recently include one by Senator Elizabeth Warren of Massachusetts, a 2020 Democratic presidential contender, for a 2 per cent levy on household wealth in excess of $50 million, and 3 per cent on wealth above $1 billion. And Senator Bernie Sanders of Vermont has proposed raising the estate tax on wealthy Americans as he considers a second run for the White House. Overall, expanding government programs was “fine, but it just emphasizes there’s no free lunch here; you’d have to collect more money,” the tech billionaire said. Gates and his wife Melinda have set up a private foundation. The Bill and Melinda Gates Foundation had $51 billion in endowment assets as of the end of 2017. From 1994 to 2017, the couple has given more than $35.8 billion to their foundation. The US budget deficit widened to $319 billion in the first three months of the government’s fiscal year as spending increased and revenue was little changed, the Treasury Department said on Feb. 13. The shortfall grew by 42 per cent between the October to December period, compared with the same three months the previous year. America’s national debt is projected to keep rising, surpassing an annual $1 trillion by 2022, according to the Congressional Budget Office, fueled in part by President Donald Trump’s $1.5 trillion tax-cut package and government spending increases. The Trump administration and Republican lawmakers who passed the 2017 tax plan said the measures would boost economic growth, offsetting the loss of tax revenues.